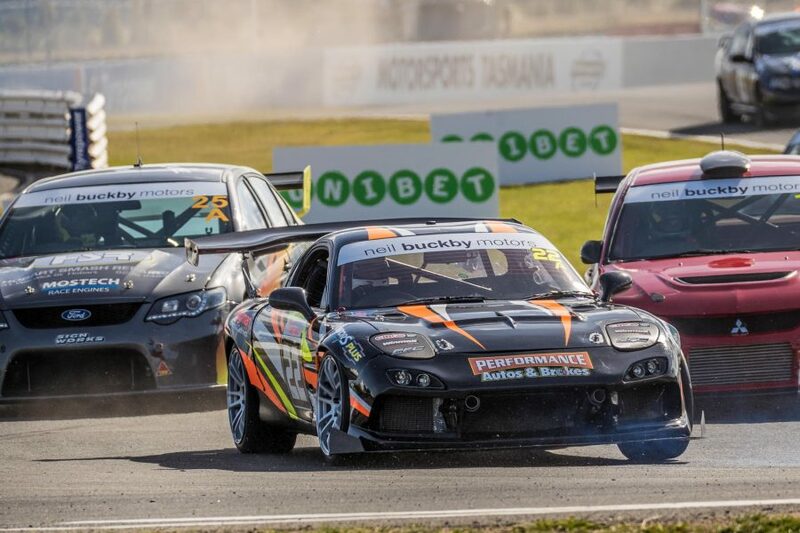 Virgin Australia’s Supercar Championship is ready to roll in for Tasmania’s largest annual sporting event, the Tyrepower Tasmania SuperSprint - and they will roll in with style. Get set for the return of the Supercars Transporters Parade and see the massive rigs that carry all the Supercars and equipment drive into Launceston in spectacular style. The Transporters will depart from Symmons Plains Raceway and head into Launceston via the Midland Highway, down Wellington Street, then along the East Tamar Highway before looping around at the George Town Road Turn off and heading back to where all the Supercars action is set to take place – Symmons Plains Raceway. 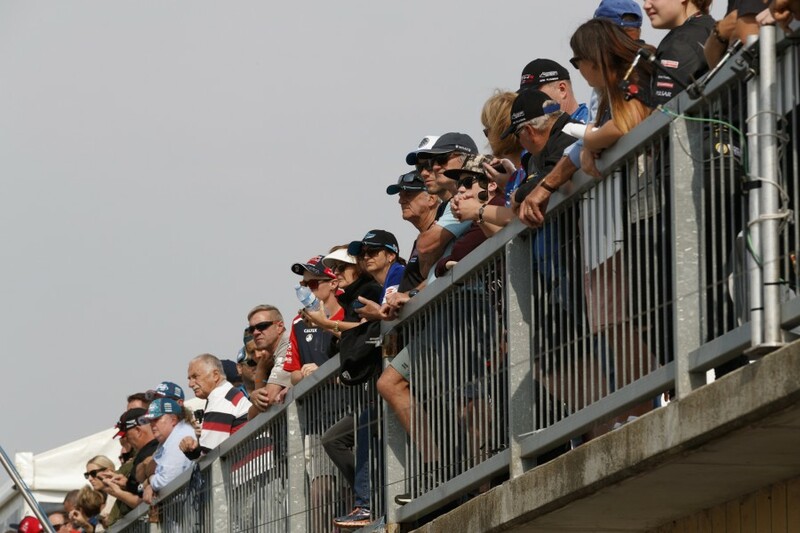 Don’t miss the 2019 Supercars Transporter Parade! You can view the Supercars Transporter Parade map HERE. A crowd favourite for 20 years, the Aussie Racing Cars will be hitting the track again across seven rounds in 2019. 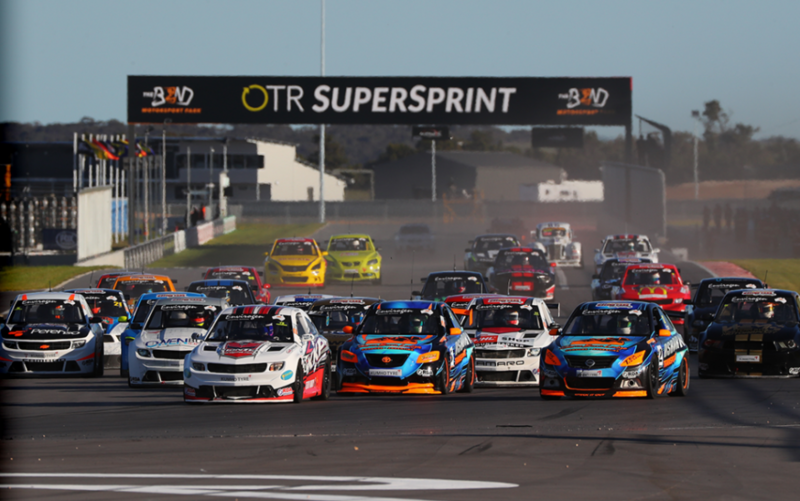 Celebrating their 20th Anniversary as a support category to Supercars, the Aussie Racing Cars are set to provide another season of action packed 4 wide racing action. Despite their small size these cars have a lot of power, boasting a 1.3 litre, 135bhp, twin-cam, 16 valve engine that revs to 11500rpm. Their favourable power to weight ratio brings fast-paced action with maximum speeds in excess of 200kph. As one of Australia’s most popular motor sport categories, the Aussie Racing Cars are set to bring another exciting year of racing! 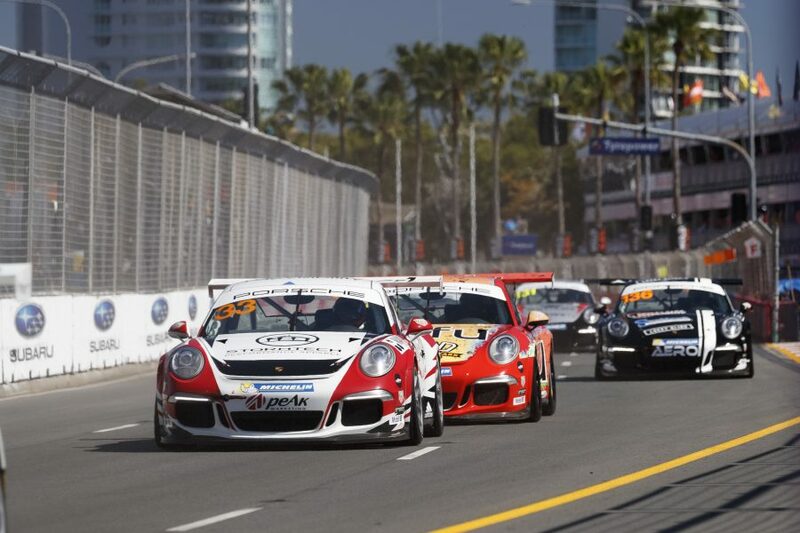 In 2019, Porsche Michelin GT3 Cup Challenge Australia celebrates its 11th season in Australia. A series traditionally for the experienced Pro-Am enthusiasts, GT3 Cup Challenge has, in recent years, become a launchpad for young racing talent planning to scale the Porsche Motorsport Pyramid towards a professional motor racing career with Porsche. This Porsche One-Make Series exclusively uses older generations of the Porsche 911 GT3 Cup car that were once used in Carrera Cup, namely the outright contending 911 GT3 Cup (Type 991.1) and the 911 GT3 Cup (Type 997.2) Class B racer. This therefore continues the Porsche One-Make Series philosophy of a level playing field and intense competition. The next generation of Australian racers will carve a name for themselves in the CAMS Australian Formula 4 Championship. Racing on the same tracks as their Virgin Australia Supercars Championship heroes, it is the first step on the motor racing pathway after karting. Despite many of the teenage drivers not holding a road licence, they’re more than capable at racing up to 200km/h. The 1.6 litre turbo, modern carbon fibre chassis and sticky Hankook tyres promote close racing and develops critical race craft skills. 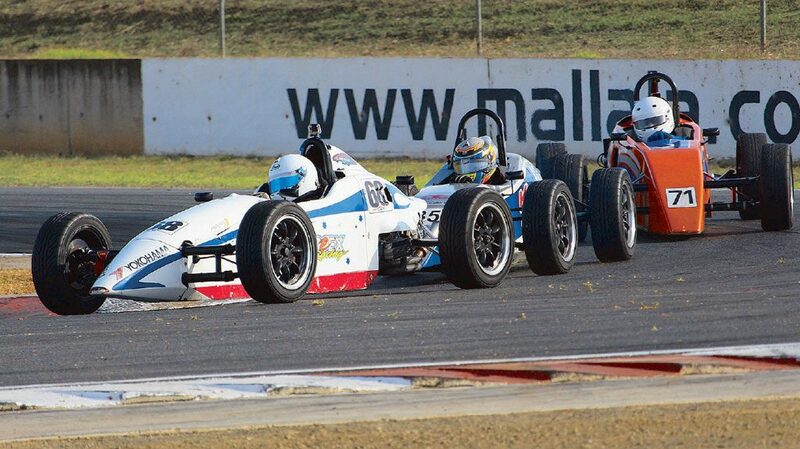 Past Australian Formula 4 graduates have stepped up to higher categories in Australia and abroad. Established in 1965, Formula Vee Australian Series is a one make, entry level grass roots motorsport class. Raced in every state in Australia, Formula Vee racing is fiercely contested with nearly every race going down the wire. Costs are kept as low as possible to give any driver the chance to hit the track and enjoy the closest racing possible! The Tyrepower Tasmania SuperSprint is the first time that the Formula Vee Australian Series comes to Tasmania, hosting both the 1200 and 1600 classes. This being the first round out of four in the 2019 Series. Come down to the pits, check out the Vees and say hello to the drivers. Variety is the spice of life for the Sports GT series. Modern and classic vehicles will be on the grid where cars are split into classes based on their lap times, some with minimal changes and some will be highly modified ensuring close exciting racing from first to last. Although a Tasmanian category, we will see entries coming from far and wide across mainland Australia. The Sports GT series will race four times across the weekend. Get closer to the action than you ever have before! Take a behind-the-scenes walk through Pit Lane, the activity hub of the Tyrepower Tasmania SuperSprint. These are free for Supercars Members, Supercars Travel bookings, Corporate Guests and Grandstand ticket holders. Please meet at Pit Entry which is at the Northern end of the paddock at least 15 mins prior to start time of the walk. Make sure you head to the Supercars Paddock area across the weekend to see where the behind-the-scenes action takes place. From inside the paddock, fans can see the amazing purpose built transporters, teams working in the garages and maybe even grab an autograph from a driver. At the Tyrepower Tasmania Super Sprint, the support categories will also be located in the Supercars paddock. Anyone aged 16 yrs and under in the paddock must be accompanied by an adult. Grandstand tickets include free paddock access. Enjoy a panoramic view of all the racing action and on track entertainment from the Rooftop of the Pit Building. The Rooftop Viewing Area is located on top of the Pit Building, inside the Paddock. You will require a Paddock Pass to access the Rooftop. Park and View is returning to Supercars in 2019. Drive in, park up and settle in at the hairpin for the most exciting Supercars action. Get up close unobstructed viewing at the quickest circuit in the Supercars Championship. Don’t miss a moment of the action from the comfort of your own car seat. The 2019 Park and View also has a dedicated BBQ area. Fans can bring their own BBQ food, drink and utensils to cook up a storm on the BBQ facilities provided.